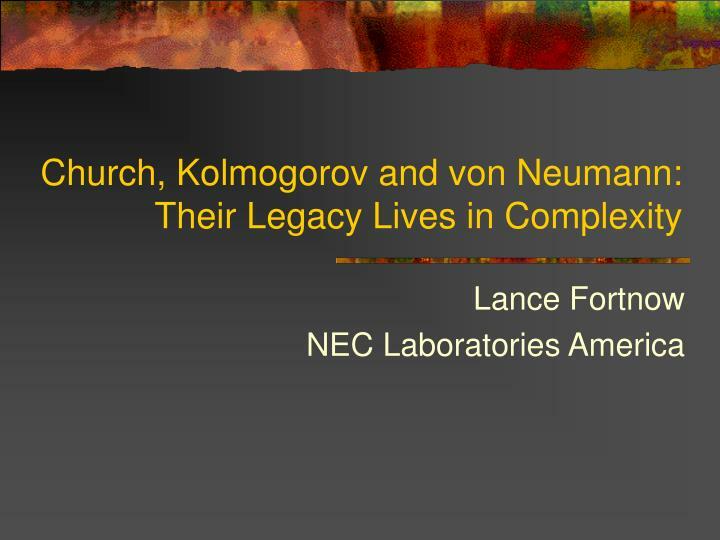 Church, Kolmogorov and von Neumann: Their Legacy Lives in Complexity. 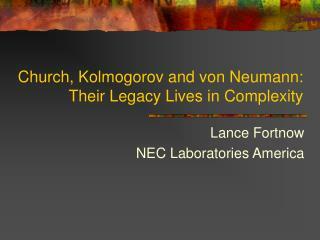 Lance Fortnow NEC Laboratories America. 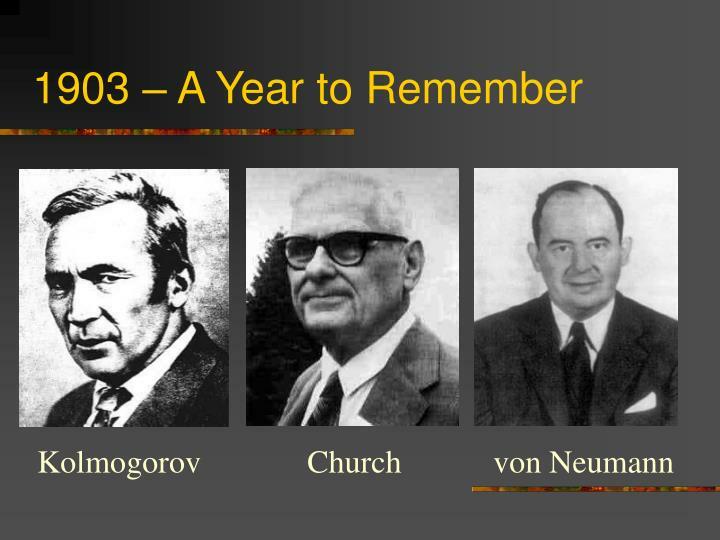 1903 – A Year to Remember. 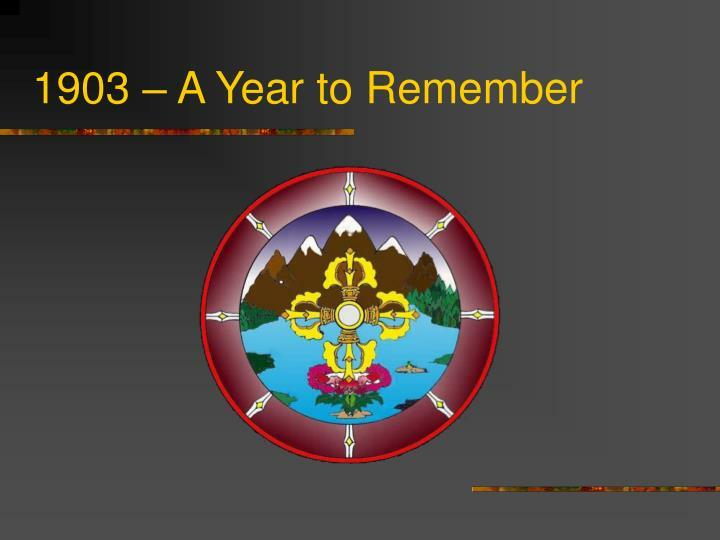 1903 – A Year to Remember. 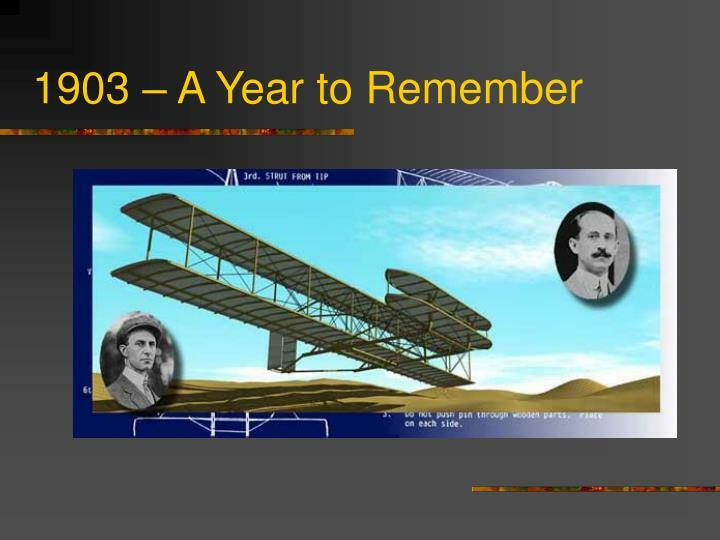 1903 – A Year to Remember. 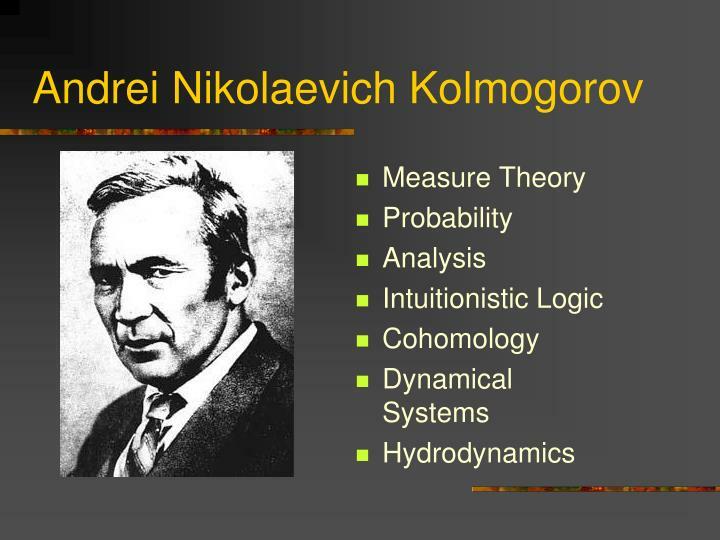 Kolmogorov. Church. 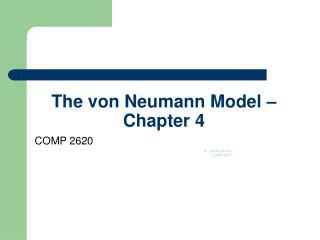 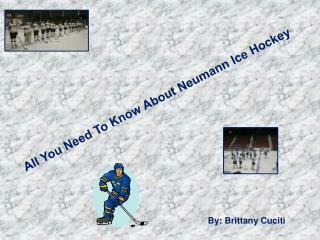 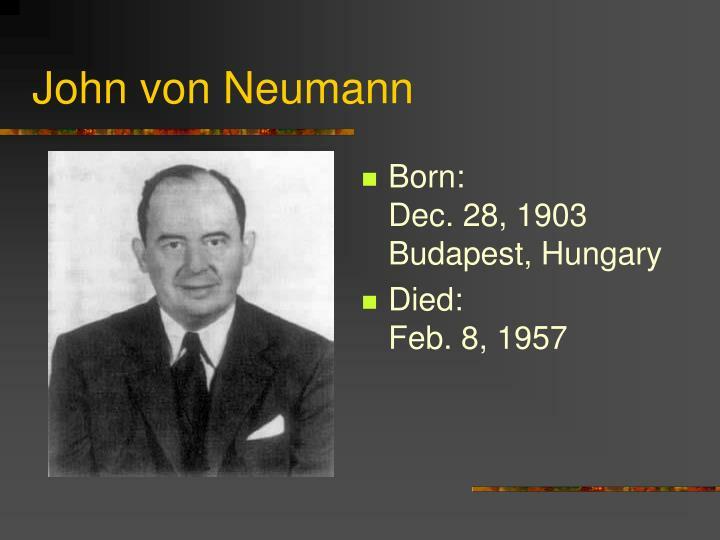 von Neumann. 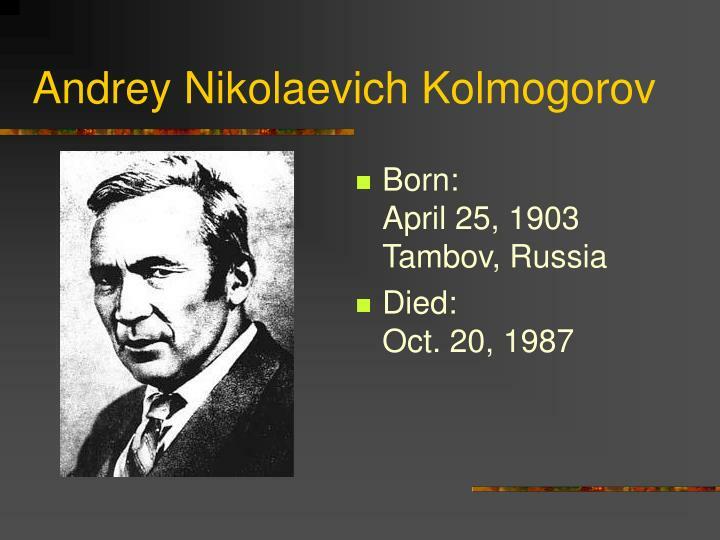 Andrey Nikolaevich Kolmogorov. 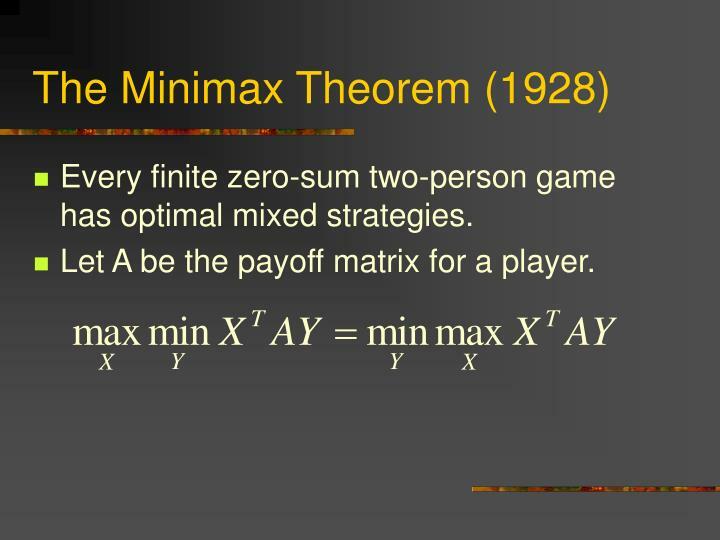 Every finite zero-sum two-person game has optimal mixed strategies. 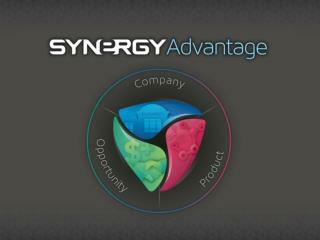 Let A be the payoff matrix for a player. 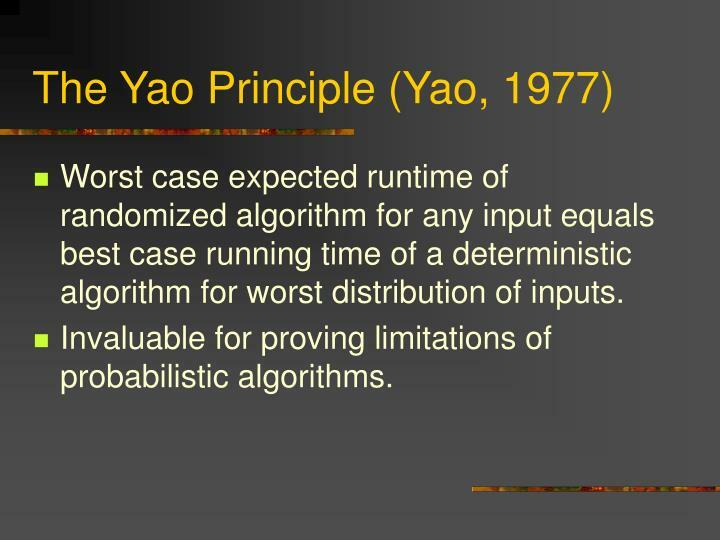 Worst case expected runtime of randomized algorithm for any input equals best case running time of a deterministic algorithm for worst distribution of inputs. 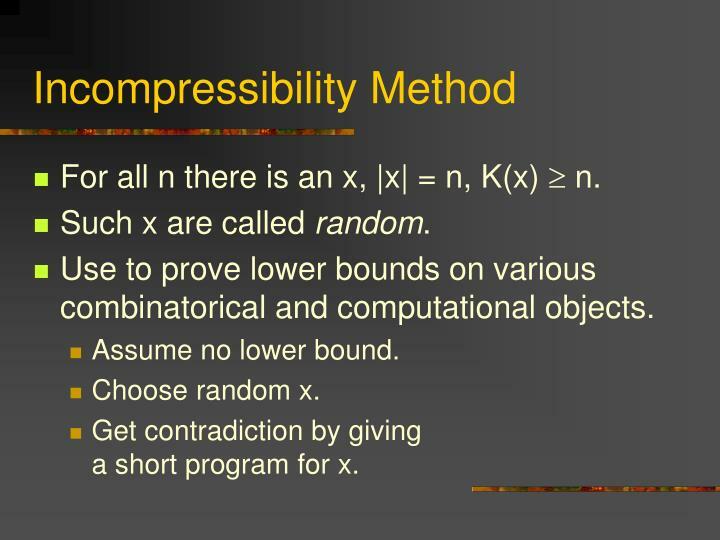 Invaluable for proving limitations of probabilistic algorithms. 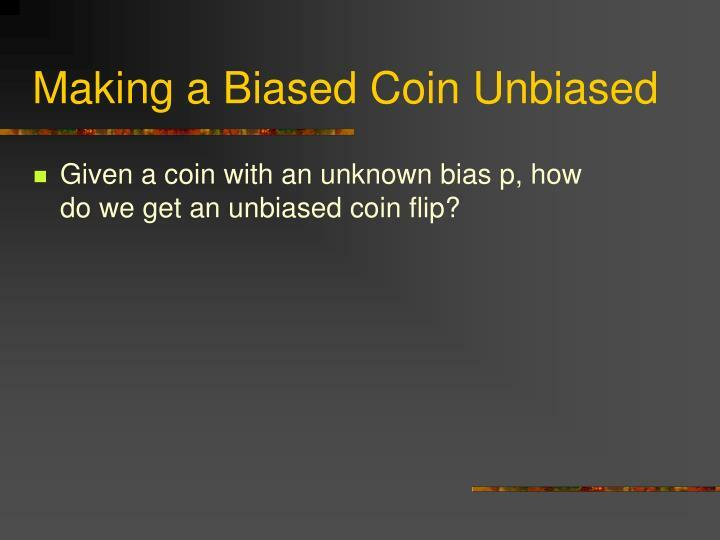 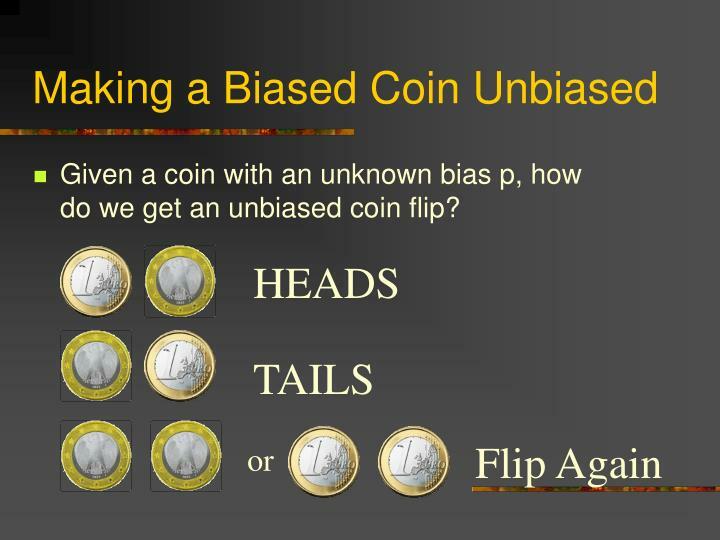 Given a coin with an unknown bias p, how do we get an unbiased coin flip? 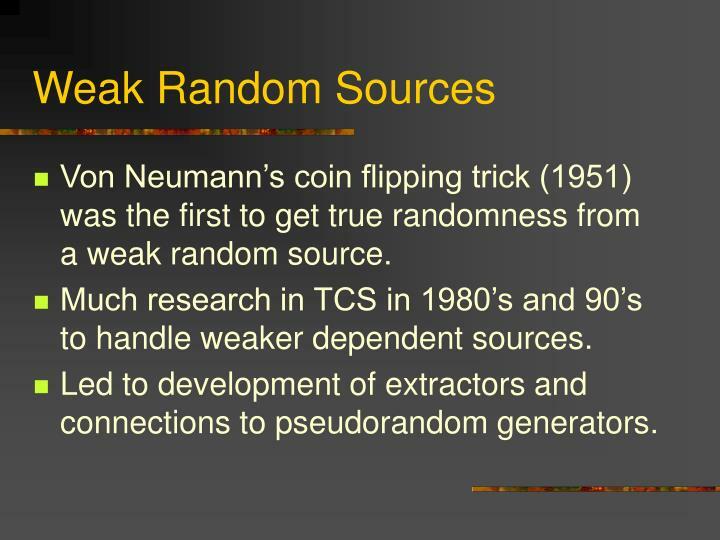 Von Neumann’s coin flipping trick (1951) was the first to get true randomness from a weak random source. 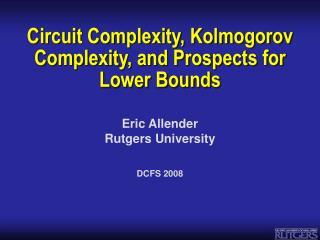 Much research in TCS in 1980’s and 90’s to handle weaker dependent sources. 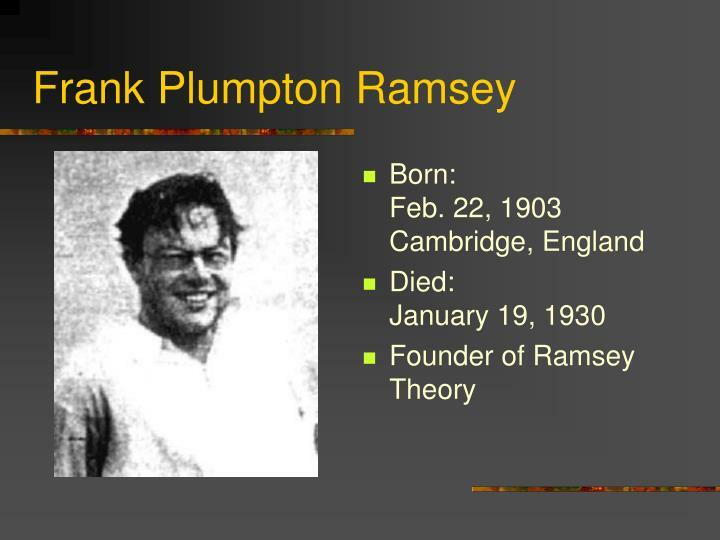 Led to development of extractors and connections to pseudorandom generators. 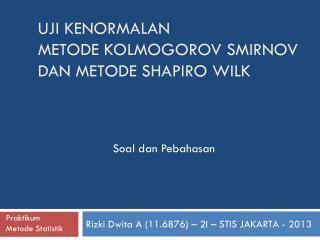 No decision procedure for arithmetic. 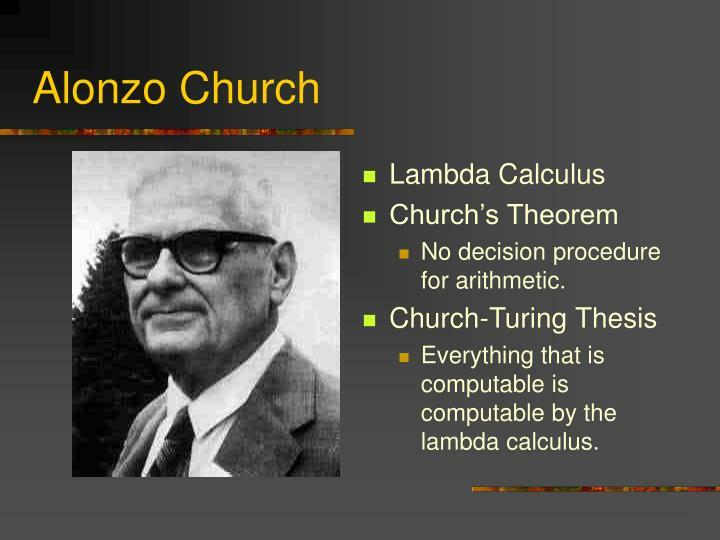 Everything that is computable is computable by the lambda calculus. 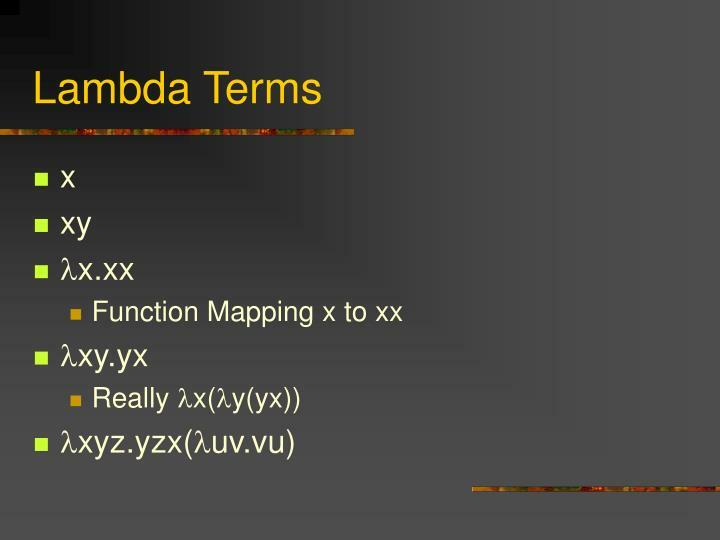 A simple way to define and manipulate functions. 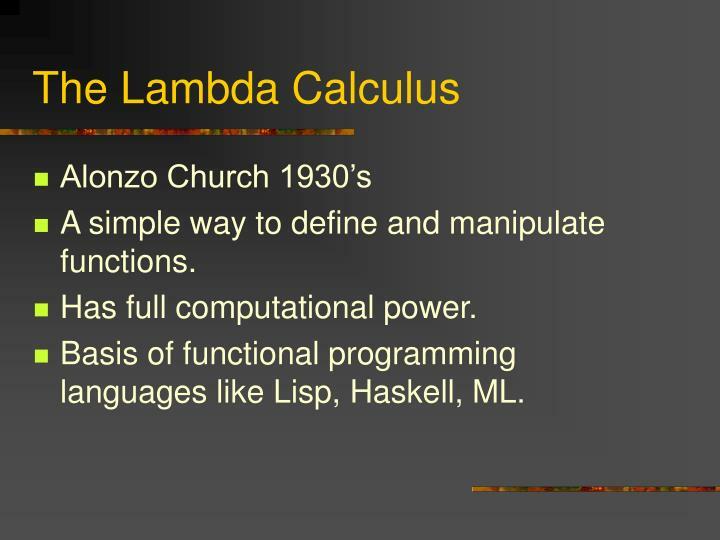 Basis of functional programming languages like Lisp, Haskell, ML. 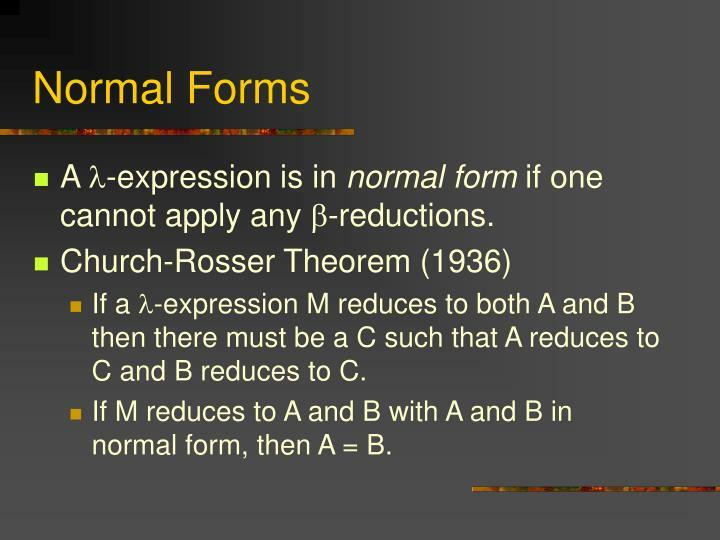 A l-expression is in normal form if one cannot apply any b-reductions. 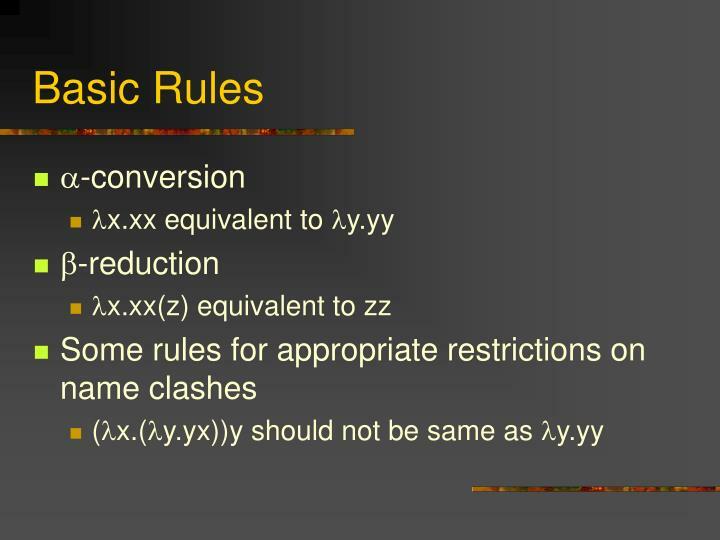 If a l-expression M reduces to both A and B then there must be a C such that A reduces to C and B reduces to C.
If M reduces to A and B with A and B in normal form, then A = B. 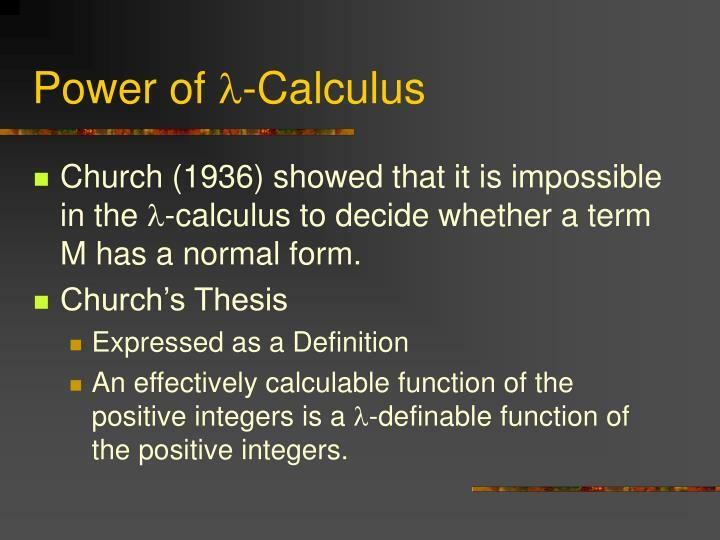 Church (1936) showed that it is impossible in the l-calculus to decide whether a term M has a normal form. 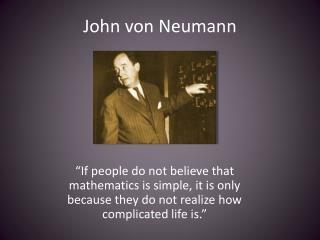 An effectively calculable function of the positive integers is a l-definable function of the positive integers. 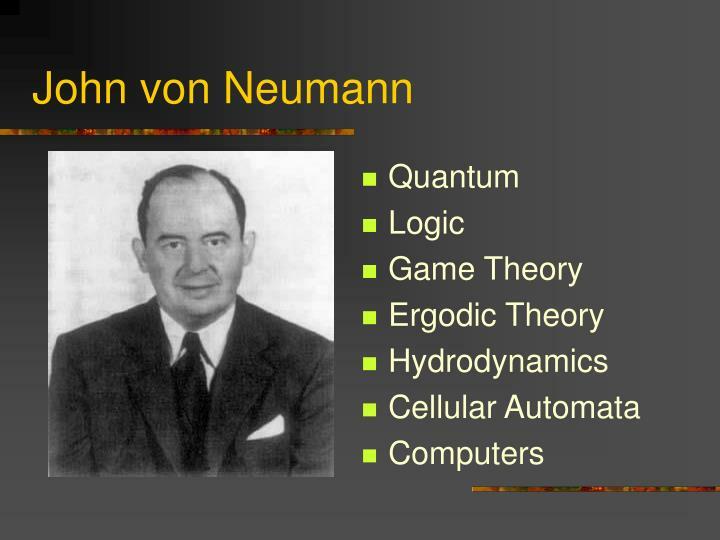 Computing Normal Forms has equivalent power to the recursive functions of Turing machines. 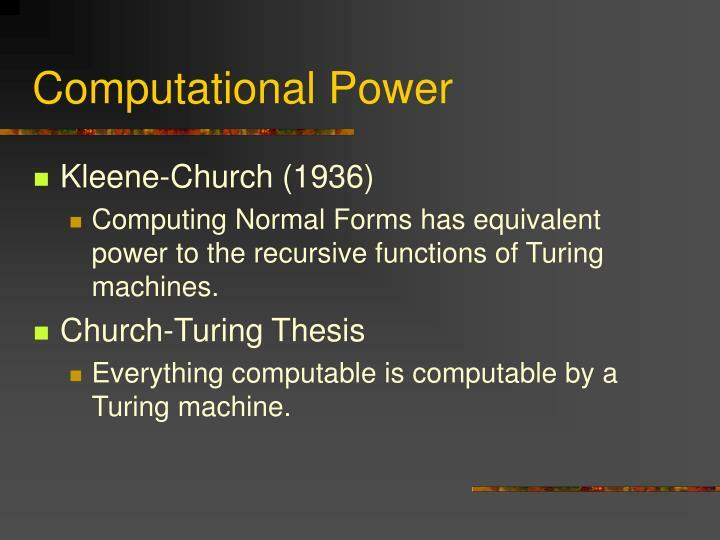 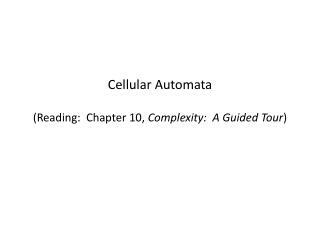 Everything computable is computable by a Turing machine. 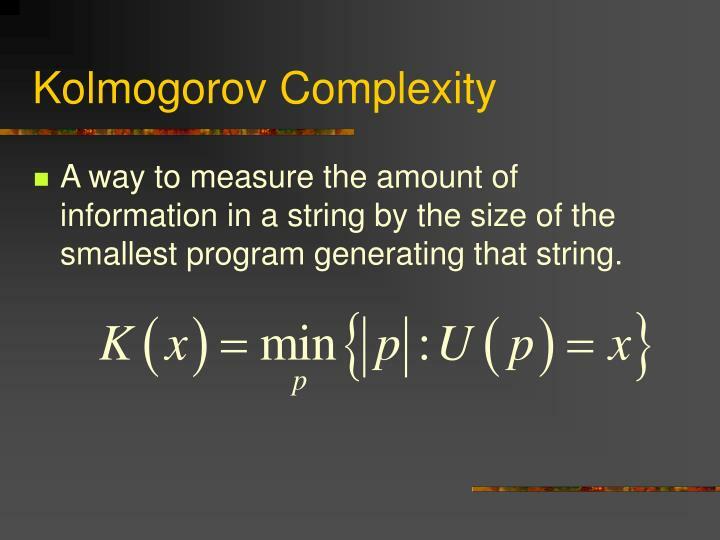 A way to measure the amount of information in a string by the size of the smallest program generating that string. 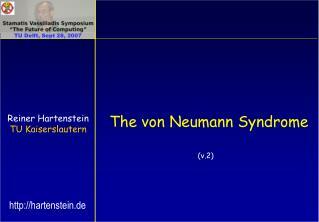 For all n there is an x, |x| = n, K(x)  n.
Such x are called random. 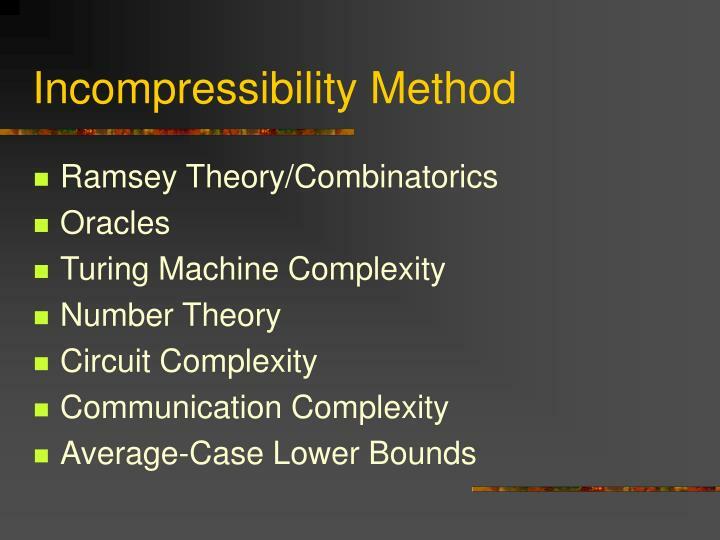 Use to prove lower bounds on various combinatorical and computational objects. 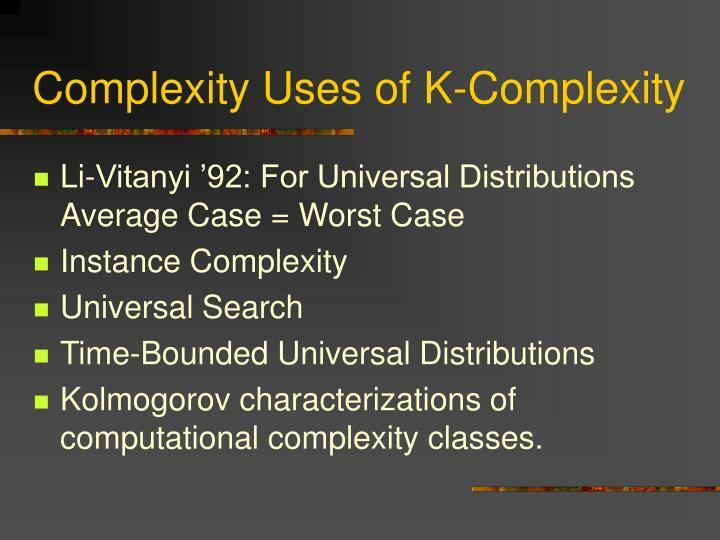 Get contradiction by givinga short program for x.
Kolmogorov characterizations of computational complexity classes. 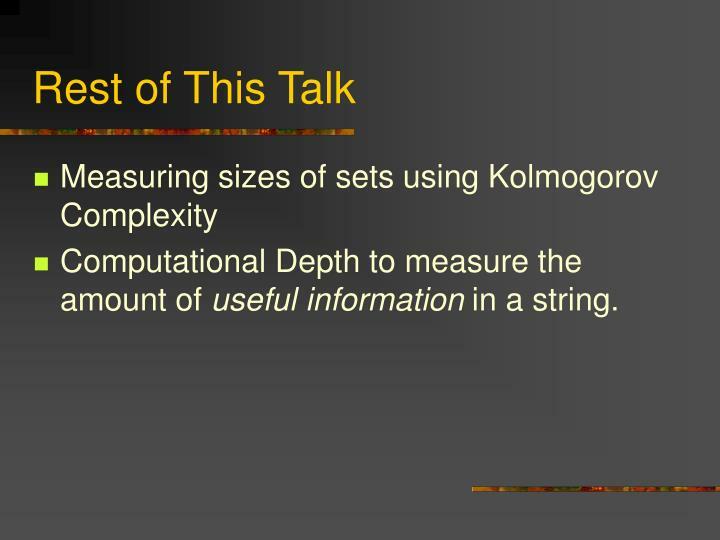 Computational Depth to measure the amount of useful information in a string. 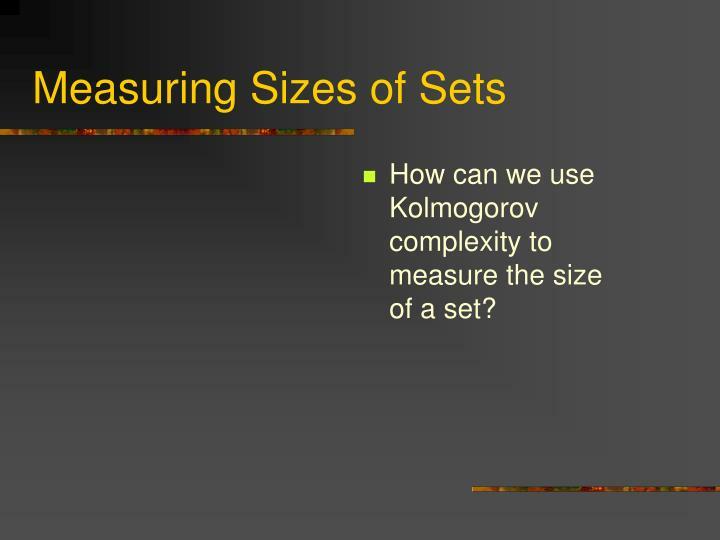 How can we use Kolmogorov complexity to measure the sizeof a set? 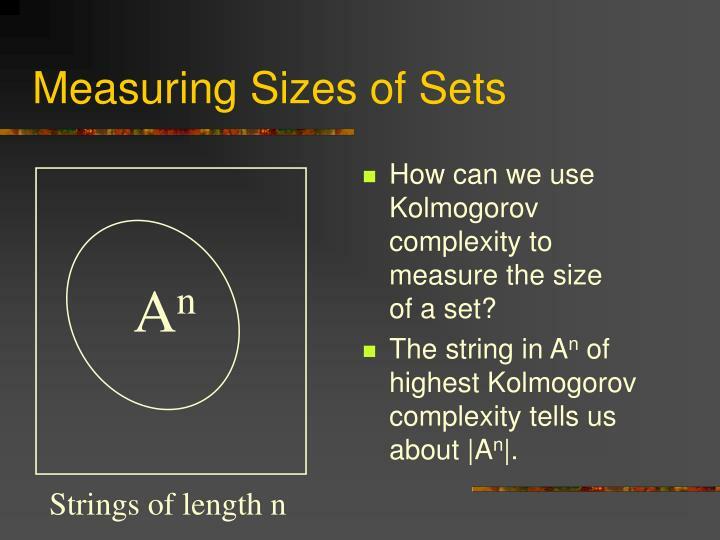 The string in An of highest Kolmogorov complexity tells us about |An|. 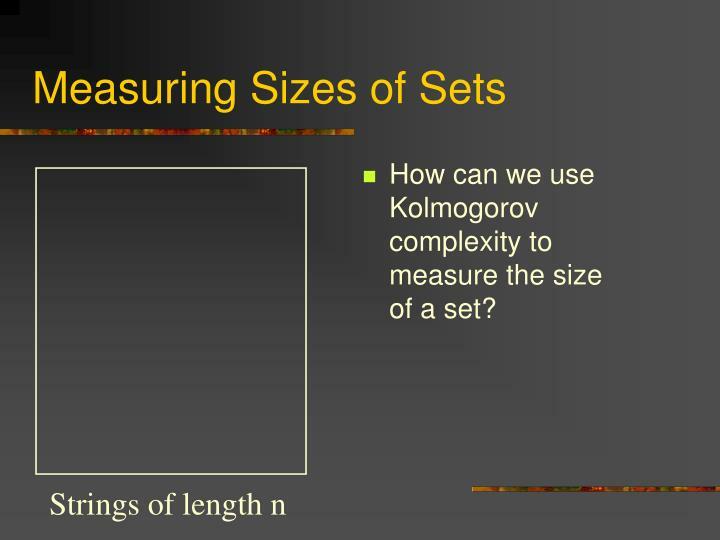 There must be a string x in An such that K(x) ≥ log |An|. 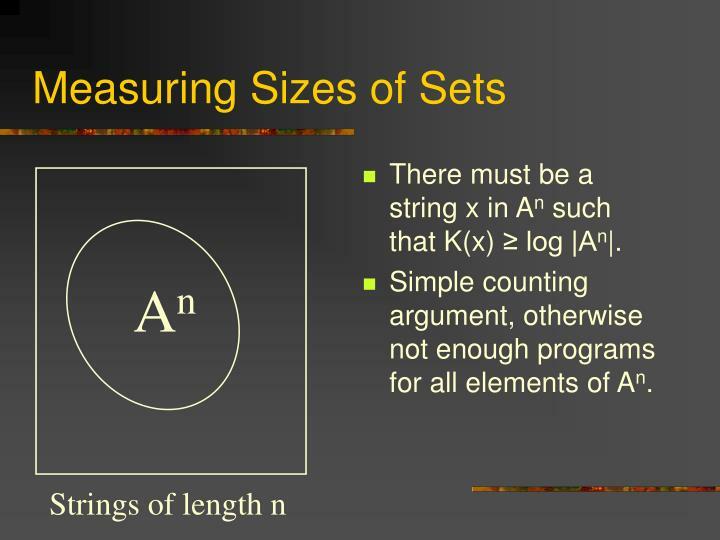 Simple counting argument, otherwise not enough programs for all elements of An. 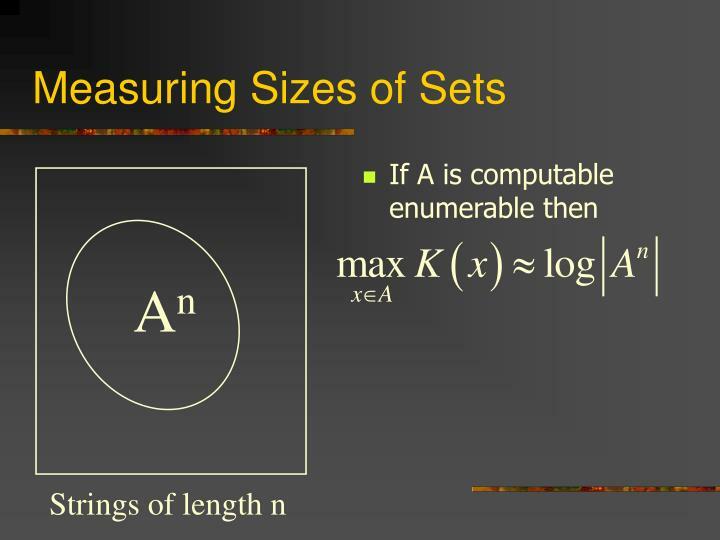 If A is computable, or even computably enumerable then every string in An hasK(x) ≤ log |An|. 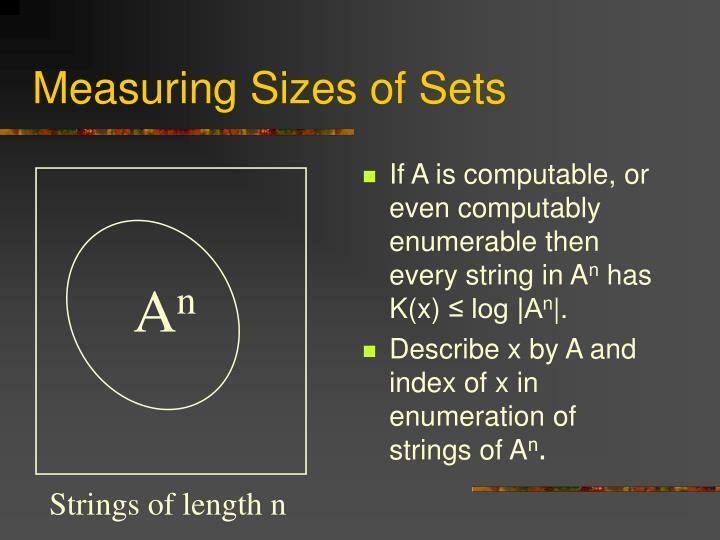 Describe x by A and index of x in enumeration of strings of An. 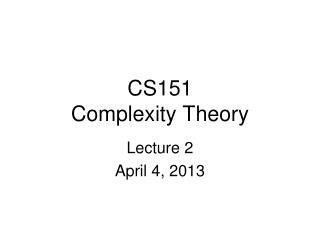 What if A is efficiently computable? 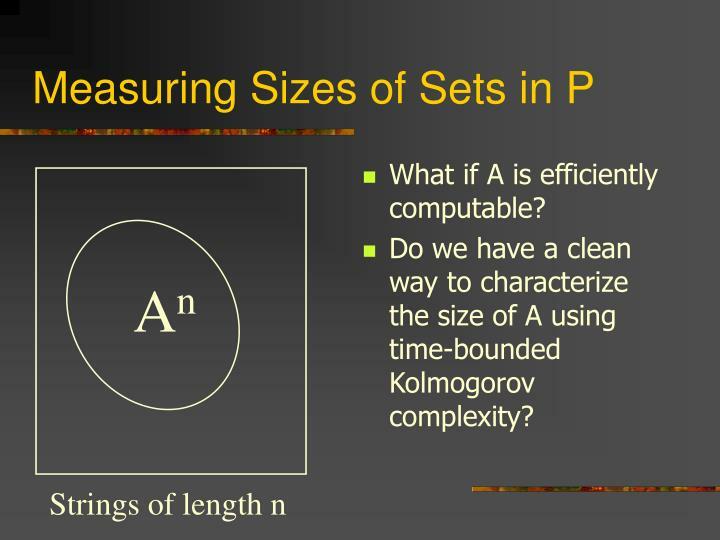 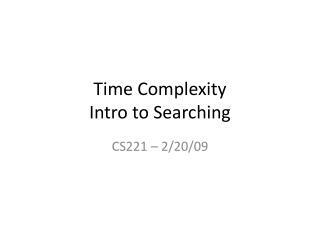 Do we have a clean way to characterize the size of A using time-bounded Kolmogorov complexity? 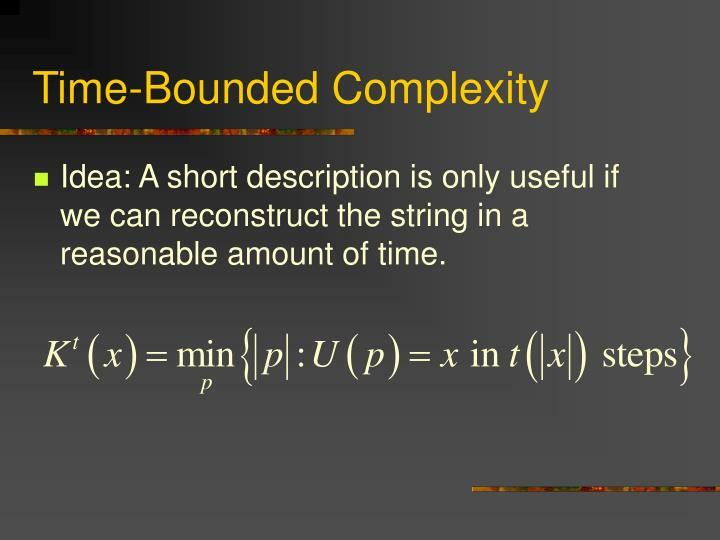 Idea: A short description is only useful if we can reconstruct the string in a reasonable amount of time. 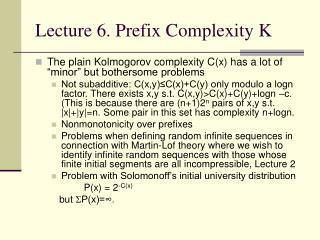 It is still the case that some element x in An has Kpoly(x) ≥ log |A|. 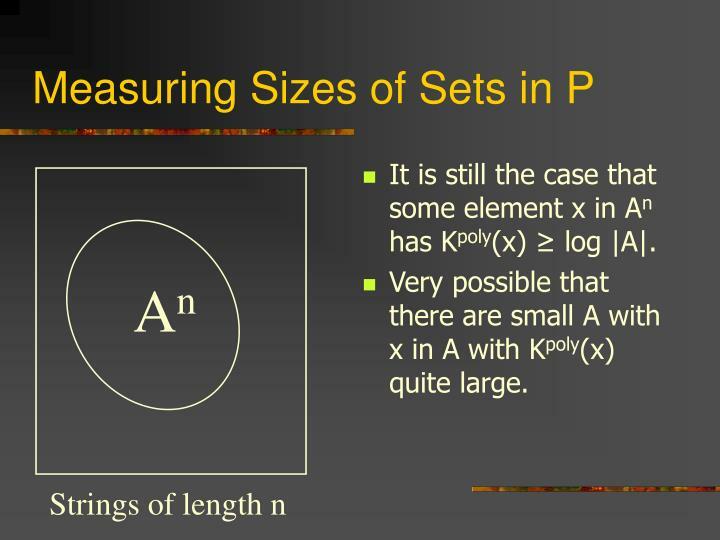 Very possible that there are small A with x in A with Kpoly(x) quite large. 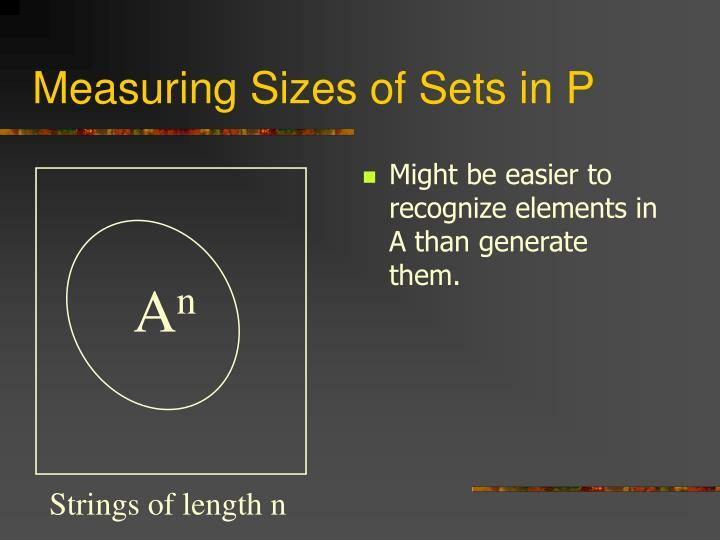 Might be easier to recognize elements in A than generate them. 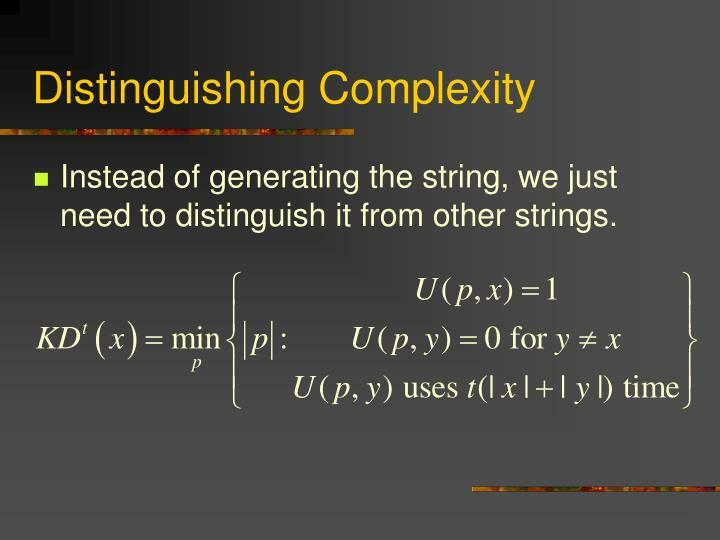 Instead of generating the string, we just need to distinguish it from other strings. 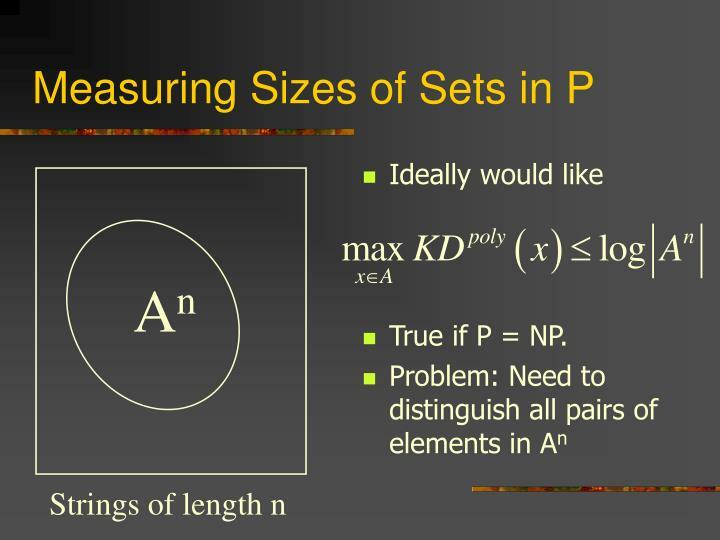 True if P = NP. 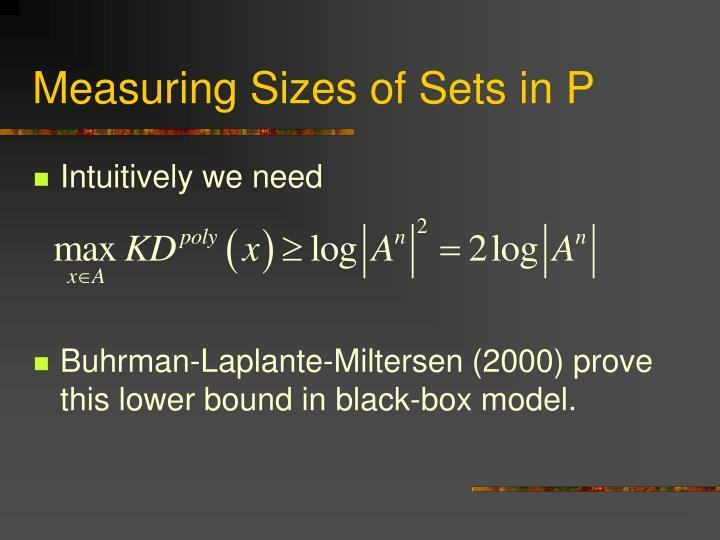 Buhrman-Laplante-Miltersen (2000) prove this lower bound in black-box model. 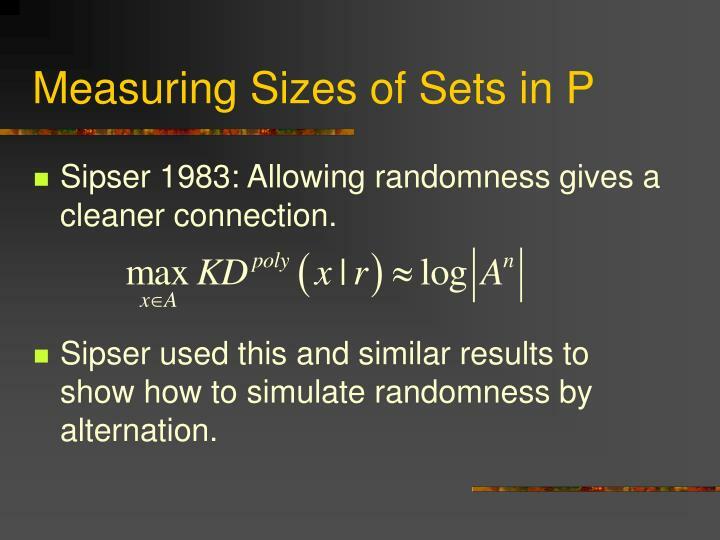 Sipser 1983: Allowing randomness gives a cleaner connection. 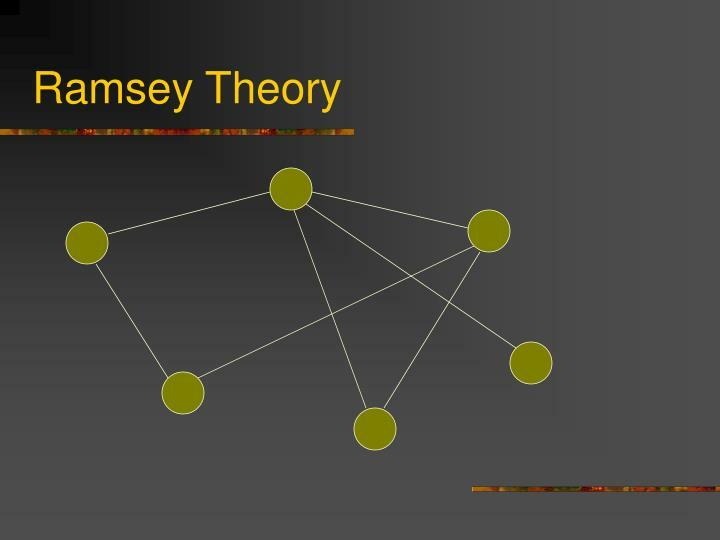 Sipser used this and similar results to show how to simulate randomness by alternation. Simple strings convey small amount of information. 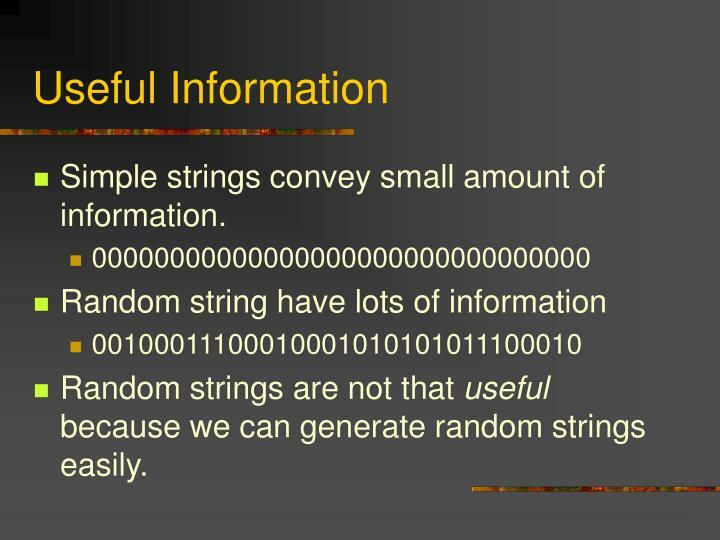 Random strings are not that useful because we can generate random strings easily. 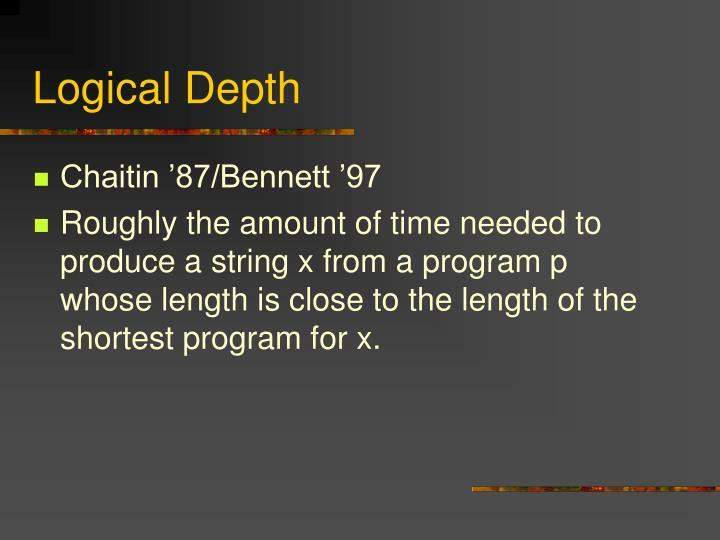 Roughly the amount of time needed to produce a string x from a program p whose length is close to the length of the shortest program for x. 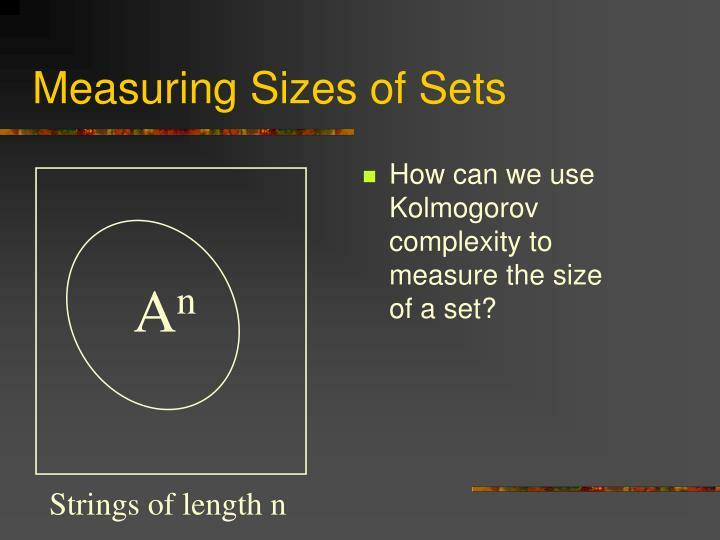 Use the difference of two Kolmogorov measures. 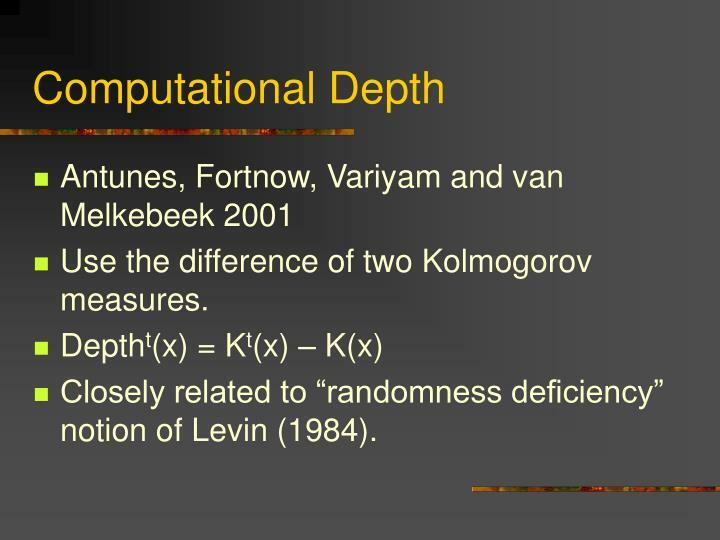 Closely related to “randomness deficiency” notion of Levin (1984). 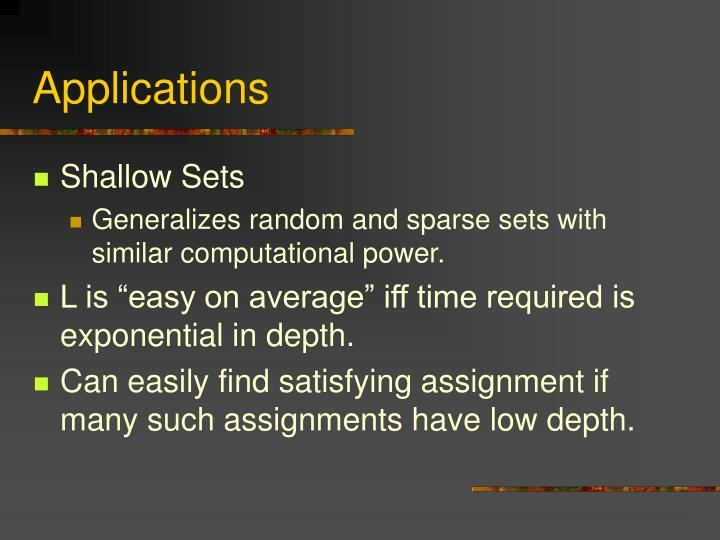 Generalizes random and sparse sets with similar computational power. 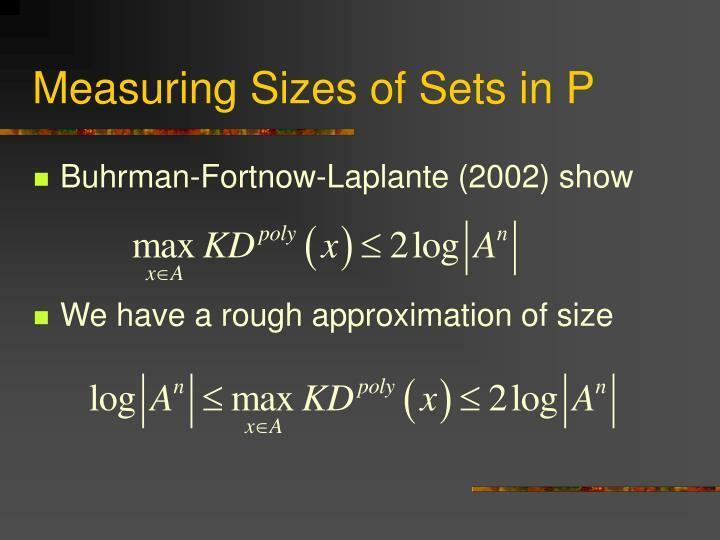 L is “easy on average” iff time required is exponential in depth. 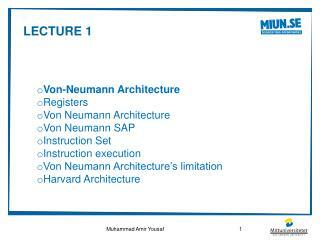 Can easily find satisfying assignment if many such assignments have low depth. 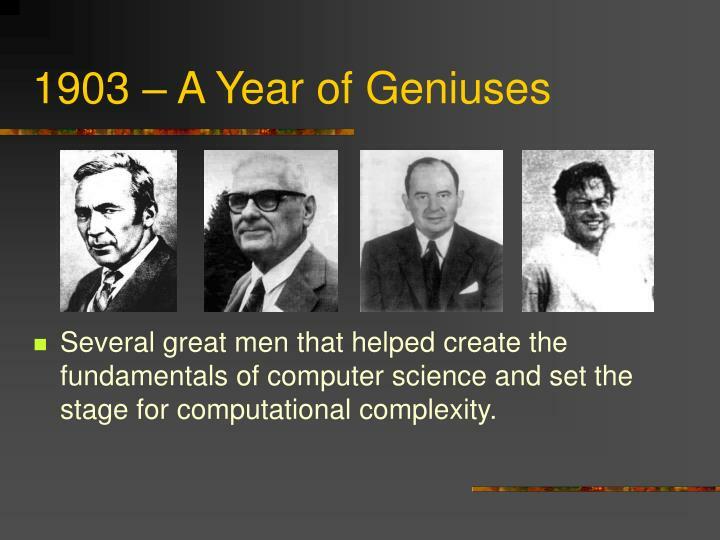 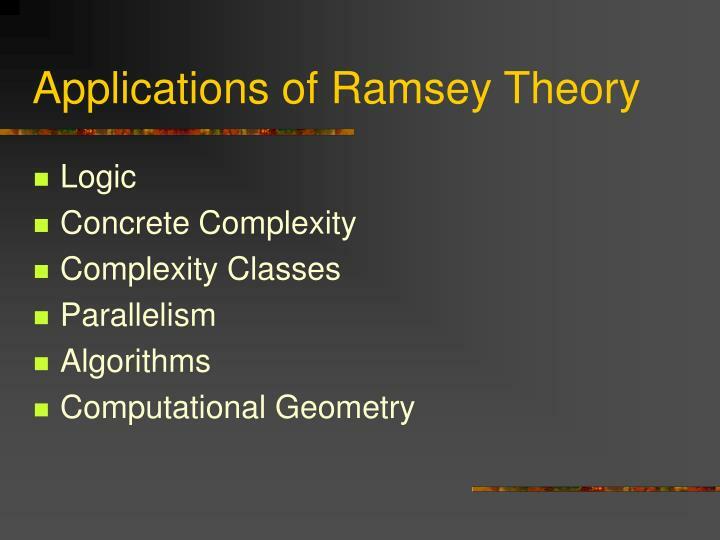 Several great men that helped create the fundamentals of computer science and set the stage for computational complexity. 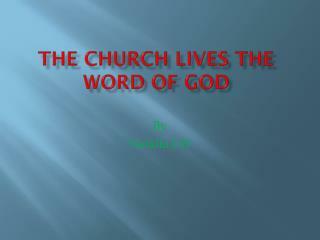 Protect our Legacy -. 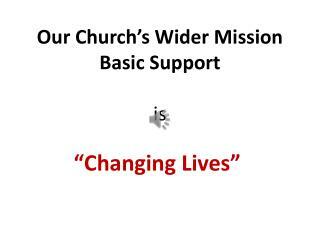 act local project by ryan mcmakin. 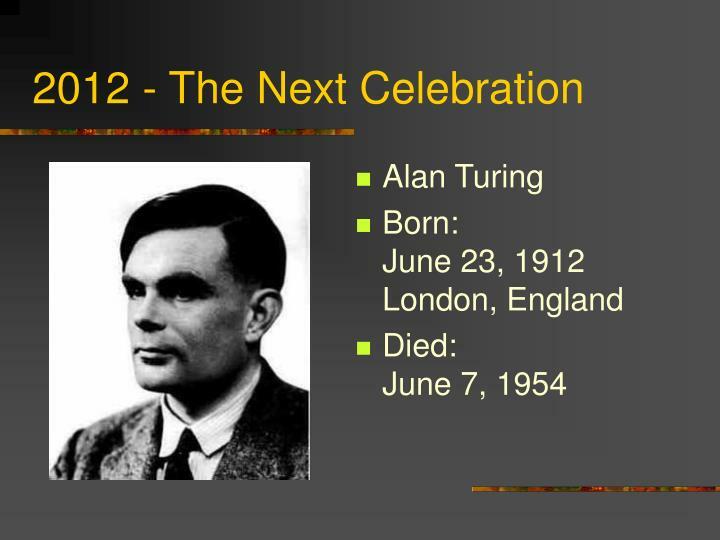 protect our legacy. 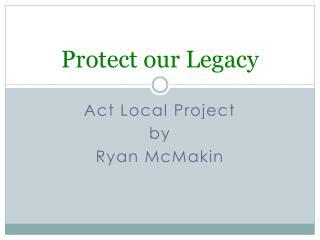 protect our legacy is a group of volunteers formed to fight the planned race trac gas station at the corner of warren and legacy drives in frisco. 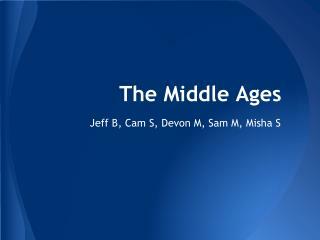 Middle Ages: The Church -. 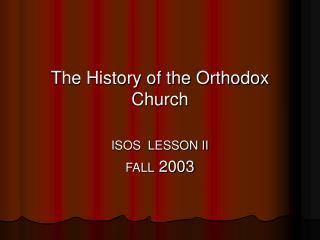 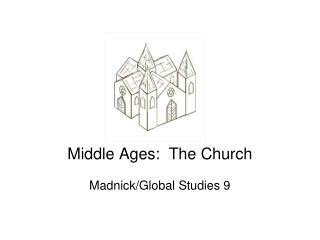 madnick/global studies 9. the church in the middle ages. 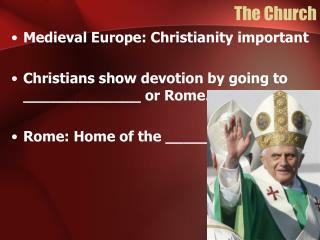 super huge fact: the church was the single most powerful organization in western europe during the middle ages dominated peoples lives, from peasants to kings.